Sometimes making the jump to the next version of Android introduces more cons than pros. This reality caused T-Mobile to pause and take a step back the last time it started to roll out Jelly Bean to the LG Optimus L9. 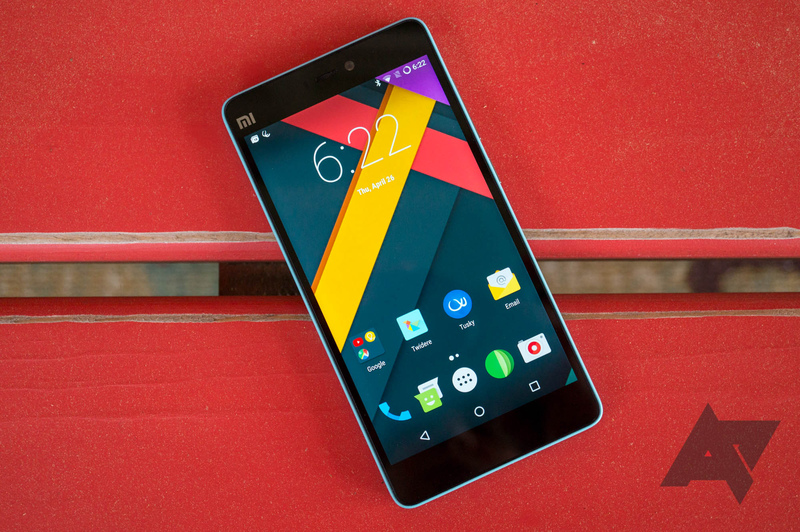 Users complained of excessive battery drain and difficulty receiving calls, among other things. It's been a couple of months since that debacle, and now the carrier is ready to try again. The update is up to 355.7MB in size depending on which version you're currently running. In addition to Jelly Bean, the update brings in the usual assortment of unspecified security enhancements. Uh-oh. 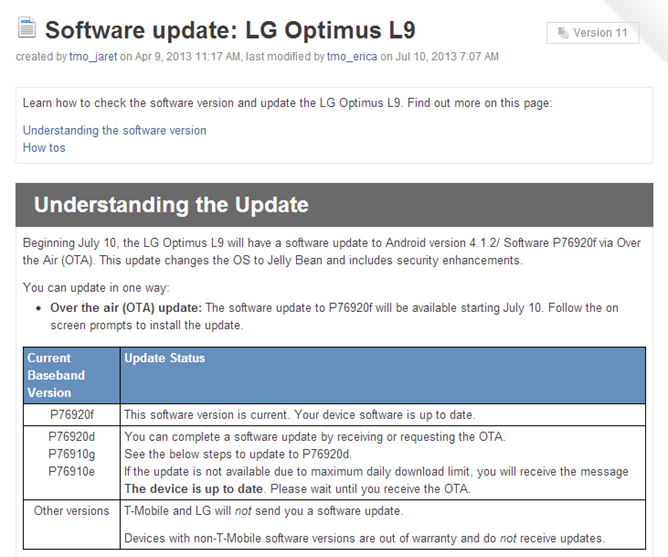 According to a support doc released yesterday, T-Mobile has paused the Optimus L9's update to Android 4.1.2 Jelly Bean because of the new software's less-than-stellar stability. Several users have reported significant battery drain, difficulty receiving calls, and frequent app crashes. 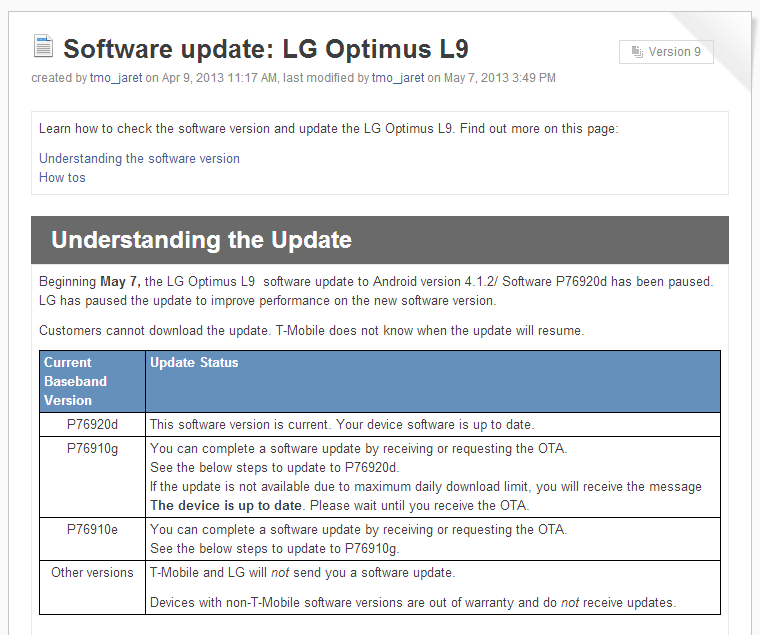 Accordingly, T-Mobile wants to "improve performance" before resuming the OTA upgrade. T-Mobile announced and began rolling out the Optimus L9 Jelly Bean upgrade on April 22nd, so it's somewhat surprising it took so long to identify problems with the update. Still, better late than never. As far as ETAs go, T-Mobile unfortunately doesn't know when the fixed update will begin rolling out. Another day, another set of CM10.1 nightlies for some currently aging handsets. 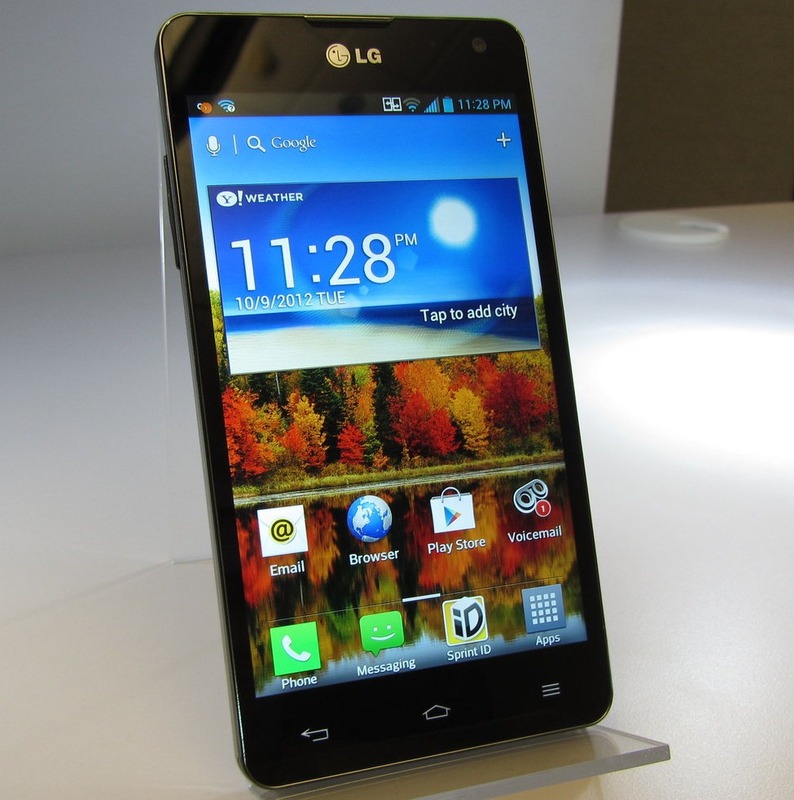 Well, maybe not that aging, but the point remains: new nightlies are here for the LG Optimus L9 and U.S. Cellular's LTE variants of the Galaxy Note II. Update: Looks like the unlocked LTE variant of the SIII (i9305) just got its first experimental nightly, as well. 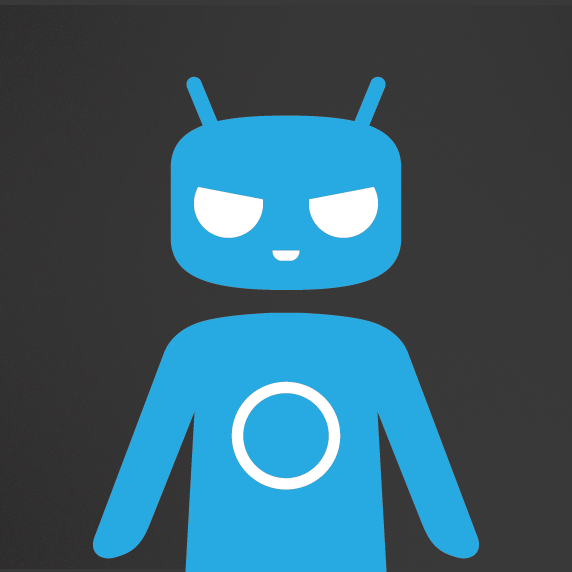 If you just can't stand not having stock Android, have been dreaming of CyanogenMod 10.1 for your device, or some other thing related to flashing this ROM, the time is here. Keep in mind that these are nightlies, so there may be some software quirks, though I've generally found these types of builds to be stable enough for everyday use. 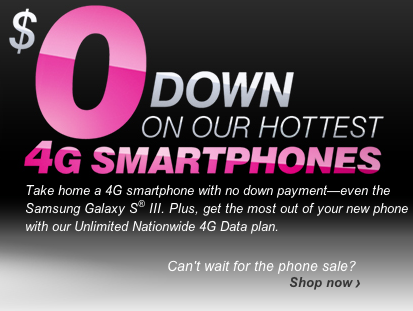 If you're a last minute Christmas shopper, and on the lookout for some tech deals to give to your loved ones, T-Mobile's 'zero down sale' may be the answer you've been looking for. Starting today, the network is offering a selection of 4G devices for $0 down payment with its Unlimited Value and Unlimited Nationwide 4G Data plan. 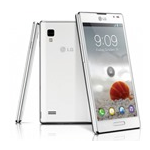 The offer lasts until December 31 and includes a number of Android devices, such as Samsung's Galaxy S III, the HTC One S, and the LG Optimus 9. The Nexus 4 was previously listed on the offer as well, but has since sold out on the store and is now unavailable. After our last epic holiday giveaway, you might have thought we were going to tone it down a little. You thought wrong. We're going ahead full steam with another massive giveaway, this time courtesy of LG. 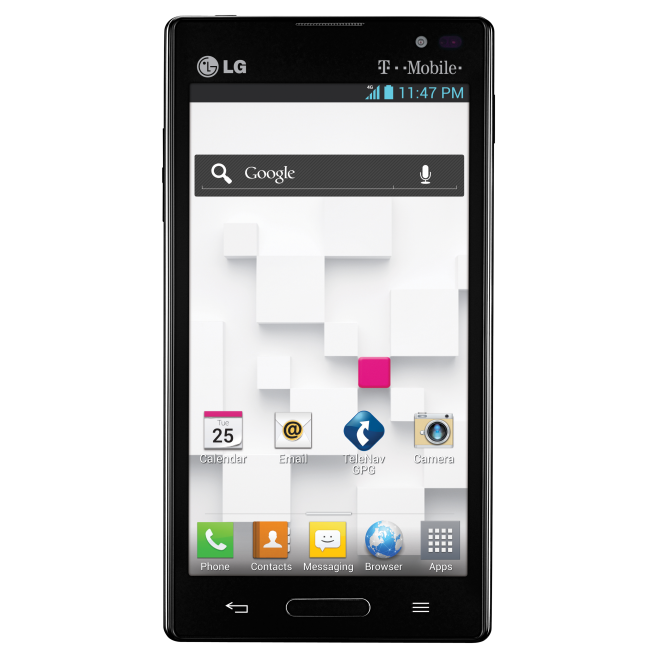 We're giving away 10 LG smartphones - including their latest and greatest, the Optimus G.
The Optimus G is LG's flagship powerhouse handset, and it was the first mass-market device to sport Qualcomm's Snapdragon S4 Pro quad-core processor. Sure, it's not a Nexus 4, but not everything can be a flagship, right? 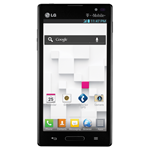 If you're shopping around on T-Mobile and you want to save a bit of money, the LG Optimus L9 has arrived to give you another option. Starting at $80 (after mail-in rebate) on T-Mobile's website, or $50 via Wirefly, this mid-range device still nets you a decent 1Ghz dual-core processor, a 4.5" qHD display and a relatively beefy 2150 mAh battery. It's not going to win you any super nerd cred, but for the price it's not a bad piece of hardware. Interested in a mid-range LG device on T-Mobile? Wait, you don't have to answer that. 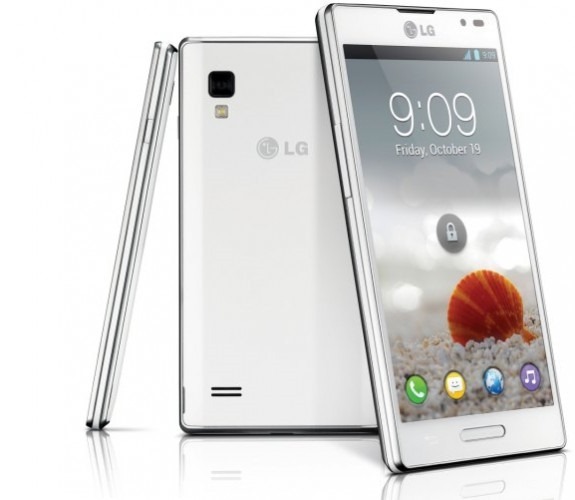 Regardless of how you feel about it, the LG Optimus L9 is coming. While T-Mo originally announced the device earlier this month, the carrier has just come clean with its actual availability: October 31st. Spooky. The L9 will be available online and in-stores and will set you back $80, but that's only after a $50 mail-in-rebate. Earlier this month, we saw a leaked image of the LG Optimus L9 for T-Mobile, and now Team Magenta has made the mid-range handset official. Availability details are still scant, with the press release stating it will hit shelves sometime "later this fall." 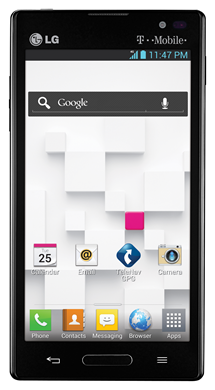 The L9 also features some LG proprietary software, like QuickMemo and "Cheese Shot" (which has to be one of the worst names of all time). Much like availability, pricing is no where to be found just yet. 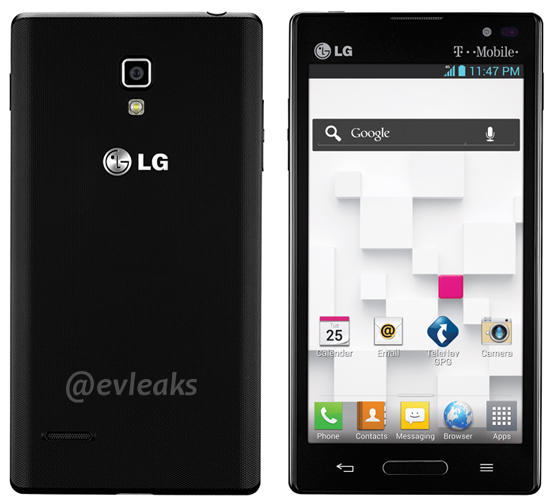 Hot on the heels of AT&T and Sprint announcing their respective variants of the powerhouse Optimus G, the @EVLeaks Twitter account has posted an image of the Optimus L9 with T-Mobile branding. Of course, we can't guarantee that the T-Mobile variant will house the same guts, but it's unlikely that they'll change it up too much. On the software side, the L9 also features a proprietary translation app that LG claims can translate up to 44 different languages using the device's camera.